Apartment 528: It's our Anniversary! Twice!!! This week we're celebrating TWO anniversaries! The Apt528 store turned 2 on Sunday and the blog turns 4 on Thursday!! To celebrate, here's a brief history of Apartment 528. 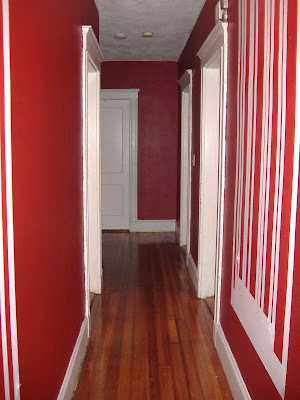 Four years ago, on September 8th, 2007, this blog started under its original name, "A Day in the Life of Design Girl," an online diary for me to share my decorating adventures. Back then, my husband was my boyfriend and we were moving into our first apartment together in Boston. It was my first time having my own apartment and I couldn't have been more excited! We spent months living with a revolving door of furniture as I tried to define my own style. Our apartment changed from a collection of handy-me-down pieces to a place full of thrifty retro treasures, DIY projects, and brightly painted walls. Day 1 in our first apartment. Those couches were $25 and not much to look at! 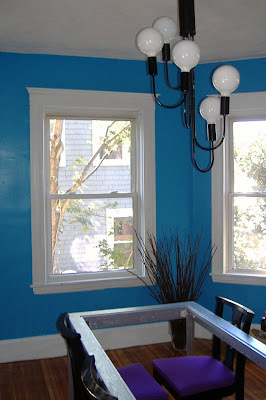 A mix of new craigslist pieces and Ikea stuff as we tried to figure out what our style was. Finally getting closer to the retro style we've come to love. 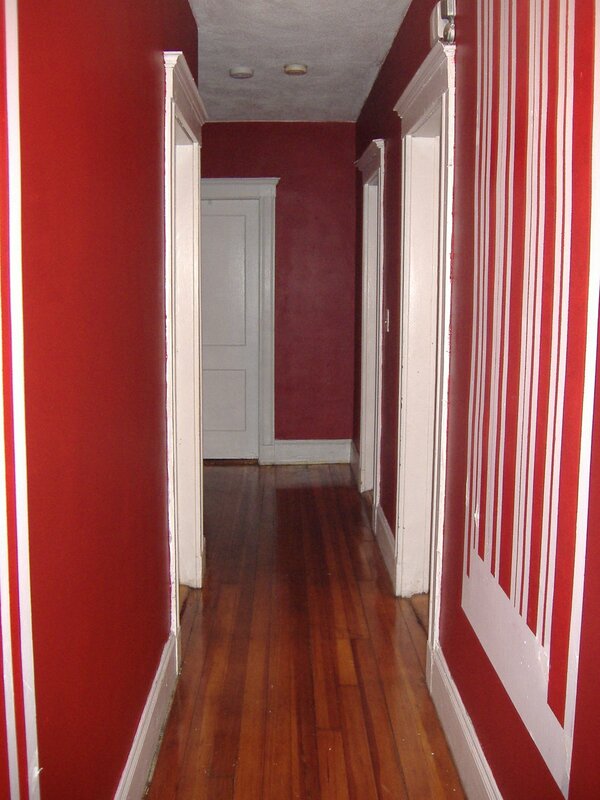 Barcodes painted down our blood red hallway. We painted three barcodes but never got around to adding the numbers! I fell through the pebbled glass of the dining room table trying to hang this light but it was worth it! Not only did I share my decorating stories and DIY projects, but sprinkled throughout were little "Youz*r tips", named after Youz*d Designs, an interior decorating business I was running at the time for renters on a budget looking for design help. Youz*d (prounounced "used") was a way to help renters "put the 'you' in 'used'." Just because you're living in someone else's house with second hand furnishings shouldn't mean that you can't have a place that's all you! 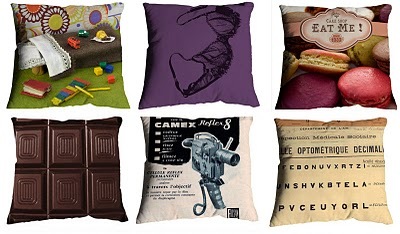 From the archives: Pillows from our favorite pillow company, Bonjour Mon Coussins. I also shared my favorite vintage picks and new products from handmade designers I admired. But after months of writing about things I loved, I started to get this itch. An itch to grow "A Day in the Life..." into something more. Like a store to share all of my favorite finds. I didn't know when it would happen or how, but I knew that I wanted it to happen and that "A Day in the Life of Design Girl" was not the business name I wanted. I was also looking for a new name for Youz*d. I thought I was awesome for coming up with the name but no one knew how to pronounce it and people didn't seem to get my cleverness. So in an effort to make things easier on all fronts, on March 14, 2008, I changed the name to Apartment 528, dedicated to my mom who's birthday is 5/28. Mom's my ultimate inspiration as a woman, mother, designer, and Christian. I couldn't think of a better person to name my business after! 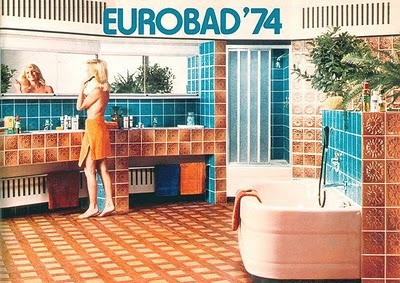 From the archives: Eurobad '74. They collect images of the worst design 1974 had to offer! Over the next year, I started to get more and more excited about the direction of Apartment 528 and closed Youz*d in the hope of one day opening a store. 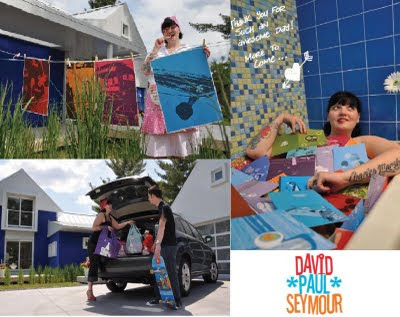 I mulled it over until one afternoon in the summer of 2009 I got an email from our old friend, designer and illustrator David Paul Seymour. During our emails, there was a mixup and he thought I had a store and expressed interest in working with Apt528. Did I have a store? No. But I figured, why not? I'd been thinking about it for months. Why not just take the plunge? 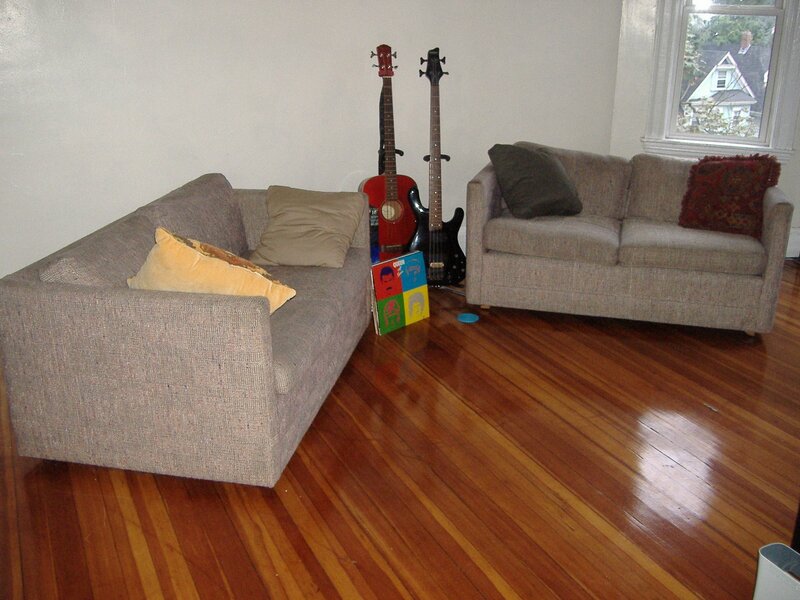 A week or so later, on September 3rd, 2009, Apartment 528 opened it's online doors. (Can you guess I'm a spontaneous person?!) At first, it was just a hodge podge of various pieces from David Paul Seymour, Joom, and Diffraction Fiber. The website was a hack job and not much to look at so aside from the blog, I didn't even mention the store to people. Thankfully I got things together in time for the holidays and officially launched the store that December with new products from clockmaker Decoy Lab and woodworkers Paperdoll Woodshop of mustache salt and pepper shaker fame. 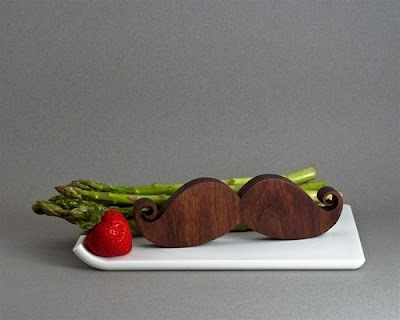 Mustache salt and pepper shaker from the now disbanded Paperdoll Woodshop. Now, four years from the launch of the blog and two years from the opening of the store, we're still here doling out handmade and vintage goods in the store and sharing design finds on the blog. Things are constantly changing...blame that on my ADD and need for constant change. What's different? Personally, that Boston Boy I moved in with years ago is now my husband and we're happily residing in Chicago. At the store, we have great new designers, we're selling furniture now, plus we have many more surprises coming in the next year. On the blog....well, not much actually. I'm still horrible at writing and can't seem to keep a weekly series going to save my life. The one thing you can always count on from the blog: consistent inconsistency! Here's to another 2 (and 4) years!! Your story was just inspiring.. I will try to decorate my house too like what you did.. :) Thanks for sharing..